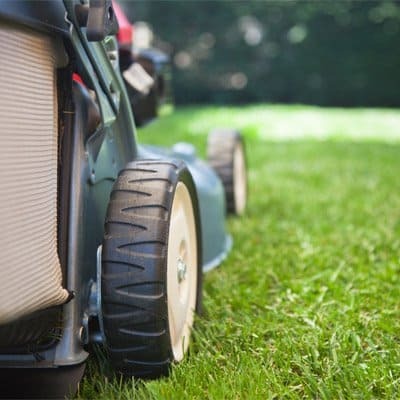 50% Off your first lawn treatment when you fill out your estimate request online! New customers only. Must agree to a full year of service. Have your lawn professionally seeded. Keep the annoying pests away! Saves mature trees from dying. We eliminate moles & voles. We keep the mosquitoes at bay. Lawn Masters featuring Mole Patrol is locally owned and operated in Newburgh, IN. We are a Mom & Pop company with over 25 + years experience servicing the Evansville Tri-State area. The team at Lawn Masters love making beautiful lawns and landscapes. Our attention to detail and a ‘do the job right the first time’ attitude, makes Lawn Masters a great value for any homeowner. "Lawn Masters has been treating my yard, my in-law’s yard, wife’s grandmother’s yard, my mom’s yard, along with many other friend’s yards, and I couldn’t be more impressed with the professionalism and results. Jerry Rogers, owner of Lawn Masters, is top notch, putting customer service above all else. My lawn was pretty bad when I purchased my home early this year, and it’s already looking like one of the better yards in the neighborhood. Plus, I have no more moles!! Truely a top notch company and gets my highest recommendation." "They’re wonderful, we’re convinced, they take care of our yard at home as well as our business, and we’re pretty particular, we want it looking good and Lawn Masters is fabulous. " "I’ve tried other lawn companies in the past but still had weed and crabgrass problems. In just one season, Lawn Masters made my lawn the envy of the neighborhood." "Can’t say enough good about Lawn Masters. Have tried many others in the past but finally Lawn Masters has made our yard look so much better. Jerry and his crew do a great job and truly care about their customers." "My lawn was being destroyed by moles. Mole Patrol was able to get rid of my moles and keep them out. Thank you for your expert advice and professional service." "Lawn Masters knowledgeable staff and use of quality products are second to none. They are the only company in town I recommend to my customers." "Lawn Masters has been treating my boyfriend’s yard since May. It is one of the greenest yards in his neighborhood and he never waters it!! Not only is the lawn a nice green color it is free of dandolins and clovers. Also, there are no patches without grass. Lawn Masters is not joking when they say "Bee Happy with your Lawn," because you will be!"